Two three bed apartments are located to a single floor. Both apartments offer views towards the North East and South West. Each apartment is extended with a spacious and 3.6 meter deep veranda on the North/East and South/East facades for each apartment respectively. The verandas will create an outdoor living space and enjoy the alfresco evening life in the hot summer days and the relaxing afternoon in the spring/autumn days. The balconies will protect the tower from the hot sun in the summer to provide enough sunshades and to reduce both the solar gain and the cooling load in the summer. All bedrooms are well proportioned with balconies facing South East behind the shield and all have en suite bathrooms. A private Spa/Jacuzzi located on the NE balcony offering a unique viewpoint over the historic heart of Nicosia and towards the Pentadactylos mountain range. The penthouse occupies the topmost level of the Santa Roza Tower and offers an unsurpassed 360 degree view of the city as well as views of the Pentadactylos and Troodos mountain range. It will reflect a sumptuous level of luxury living to suit the needs of the future influential investors. The penthouse offers the pinnacle to luxury apartment living, inspiring a vision of comfort, wealth and exclusivity with very large areas verandas which will extend the penthouse expansive living and bedroom spaces even further to enjoy the natural air and natural feel of Nicosia. The entrance lobby welcomes quests with a spectacular view towards the South West and the apartment divides with the more private bedrooms towards the south and the living spaces to the north with the more prominent views over the historic city. The penthouse offers three well proportioned bedrooms including en suite bathrooms plus a spectacular master bedroom with comer views towards the south west. 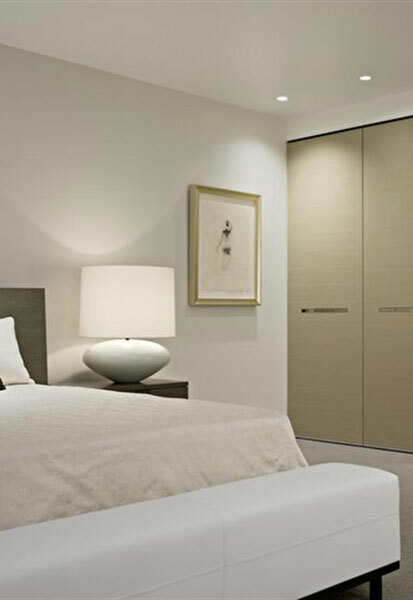 The master bedroom incorporates a walk in dressing room plus a generous en suit bathroom. To view the architectural plans of the Apartments click here.